Successfully Added 1GB MP3 Player - Small Size - FM Radio to your Shopping Cart. Low price, incredibly small 1GB MP3 player with the abilty not only to play MP3 WMA and WAV music, but also FM radio. 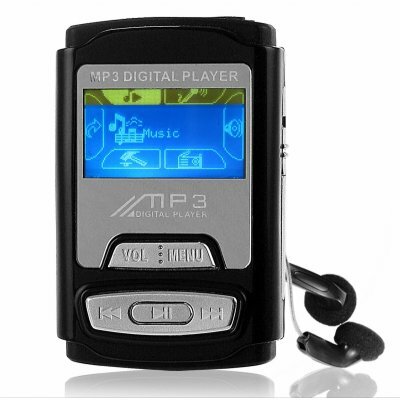 This MP3 player also comes with a small dot matrix 2 color LCD display for easy GUI navigation as well as being able to read song information. Chinavasion offers this PMP with no MOQ ordering and a one year warranty, so buy a sample today for yourself or for high profit resale..